We hope that this year the August winds will start blowing so that the Spring rains can come early. The Western parts of our country experienced a severe drought and they are in need of rain so as to be able to plant the next crop. Over the years we have been very outspoken about the use of agricultural contractors in the developing sector. 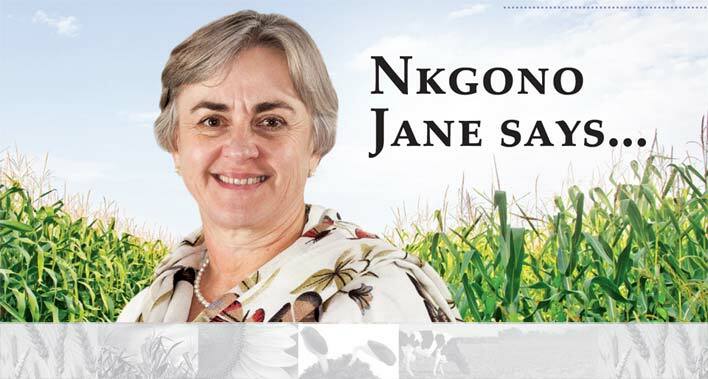 As Grain SA we believe that farmers should farm for themselves and use their land to produce crops. Unfortunately there are always opportunists who “pretend” to be helping the farmers by planting crops on the land of farmers (usually communal lands) – in most cases the farmer is not involved at all. Over the years we have seen a large number of these projects start up and die – the continued use of contractors for developing farmers is simply not a solution. We are always told that the contractors will only be used in the first year and that skills transfer will take place and later the farmers will be using the land themselves. This does not happen. We are against the use of contractors because it is very expensive, the work is not always done to the right standards, and the work is often done late because the contractor over-commits himself. We have recently been made aware of a project in the Eastern Cape where the contractor charged the farmers R3 500 for land preparation, planting and spraying. This is double what they should be paying. The contractor is sure to be paid, the input suppliers are paid, the consultants see that they are paid – and the crumbs that remain are for the farmer. This is not development and these people are not helping you as a farmer – they are helping themselves at your expense. We understand that some people only have a little land, but that does not mean you have to allow someone else to use that land. You can use it yourself to better your household food security and generate an income. Your land is a resource that you can use for your own benefit – use it and get the maximum from that land for you and your family. It is time to think about your next crop – what are you going to be planting and what inputs will you be using? Please don’t wait for a government department to bring you inputs – take charge of your farming and make plans. If you have land, use it well and you will be on the road to food security and financial independence.